The following Twin Cities (and greater Minnesota) bicycle events were just added to the Events calendar. Sorry for the delay. The 20th anniversary of one of the worst ideas to come out of Minneapolis. If you don't already know what this is after 20 years then you should google it ( really, the google results are pretty great). We are pulling things together currently and will have more updates as they come in. I just wanted to get this out there in your brains so that you can start doing intervals on the rollers while slamming beers and so out-of-towners can start planning their winter getaway to beautiful frozen MPLS. Thursday: Pre-reg. W/T/F happy hour. Everyone to join later. Friday: Pre-reg & Jeff O'Hare pre-race. Saturday: Reg & RACE, DUH. Sunday: hangovers & probably brunch. Karaoke later. Tiana and Elena will be Taking Back Sunday. 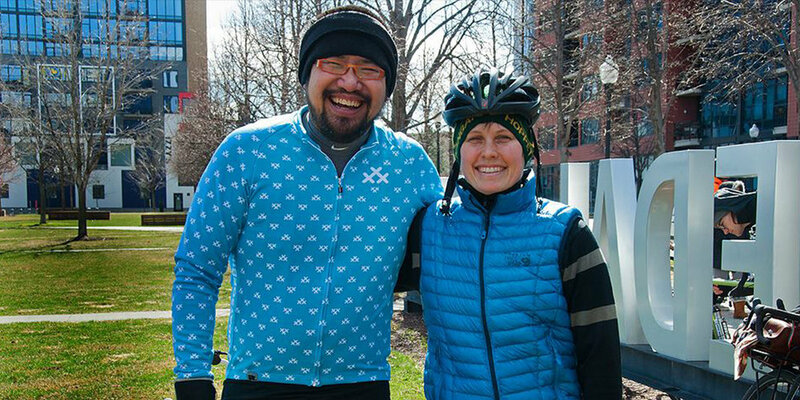 The best day of fat bike racing, and party the Twin Cities has to offer. And the biggest highlight has to be that ALL of the proceeds go back to the trails!!! We'll have fire pits, music bumping, and plenty of beverages (both hot and cold) to keep you moving throughout the day. Heading to the border. You may ask yourself why wait until March? Well, come March you'll be glad. We will ride wonderful gravel north all day Saturday and then be summarily turned away at the border and forced to bivy (Grand Marais?) then return to our vehicles and the real world come Sunday. Get ready for the end of the world (ragnarok) or the zombie apocalypse (TI V??? whatever it's on). Harry's Cafe in Lakeville to Milltown Cycles in Faribault, and return. Race will be ~80 miles on a mix of gravel, pavement, and as much off road and questionable stuff as mother nature will allow. Let's celebrate the beginning of 30 Days of Biking in the town where it all started! This is our flagship kickoff ride. 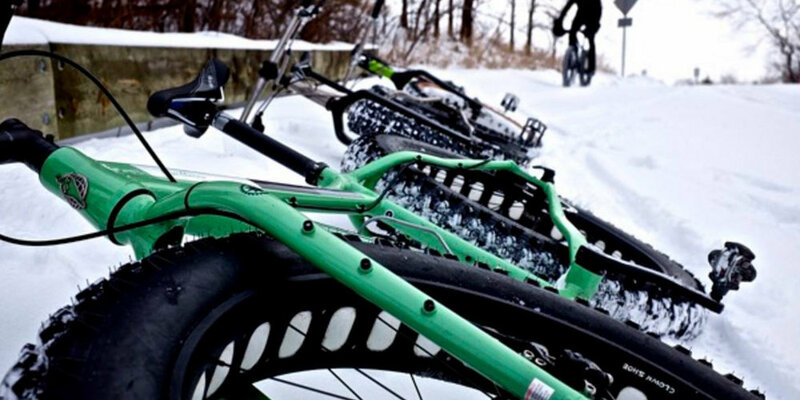 Challenge yourself on some of the most pristine, and leg breaking hills in the Upper Midwest. See some cows, eat some dust, experience the Rok. Unsupported gravel event with a pot-luck checkpoint. Please bring an item to share at the checkpoint – something you’d like to eat (or drink!) 45 or 50 miles into your ride. The Miesville FiftySix is a gravel road ride through some of the most beautiful parts of Dakota county and just minutes southeast of the Minneapolis/St. Paul area. Born out of the desire to go further and see more. Race Starts on Saturday, May 20th at 7am. The big brother to the Almanzo 100. This is a free ride funded by Jim, Ed, and our families. The volunteers are our friends and family. Racers who attempt the 240 mile Day Across Minnesota gravel road bicycle race will start in Gary, South Dakota on Saturday August 5th 2017 as the clock strikes midnight. If they finish, they will finish no more than 24 hours later in Hager City, Wisconsin. This epic point-to-point adventure will require each racer to get themselves to the pre-race check-in on time, get themselves across the state of Minnesota by bicycle, and to get themselves home afterwards. Join us for a ride beginning at the Waconia Brewing Company in the beautiful City of Waconia. Highlights include lakeside views and winding roads through the western countryside. End with our signature post-ride Fondo Festival, including BBQ, beer from the Waconia Brewing Company and live entertainment! This is the event that started it all. Created in 2009 after many hours scouring county maps and scouting miles and miles of north country gravel, it continues to evolve every year. The Heck of the North is born from the premise that you the rider are ultimately responsible for getting to the finish. Limited support. No sag wagons. No signs guiding you home. Just your ability to spin miles of forested gravel roads. Just your ability to navigate by cue card. Just your strength to see it through to the end. And the opportunity to ride with some pretty amazing people! This year’s Filthy 50 will be bringing back some of our most beloved filthy traditions and delivering some new ones as well.